The city of Komoro in Nagano Prefecture is just an hour-and-a-half from Tokyo by train. The Komoro Castle Ruins, known today as Kaikoen, is a famous tourist location in Komoro, and it’s here that the Kaikoen Momiji Matsuri (Kaikoen Autumn Leaves Festival) will take place from October 20 to November 18. The autumn leaves in Komoro arrive earlier than in Tokyo. They also cover a wide distance from an elevation of 600m up to 2,000m and are enjoyed for staying around for a long period of time. 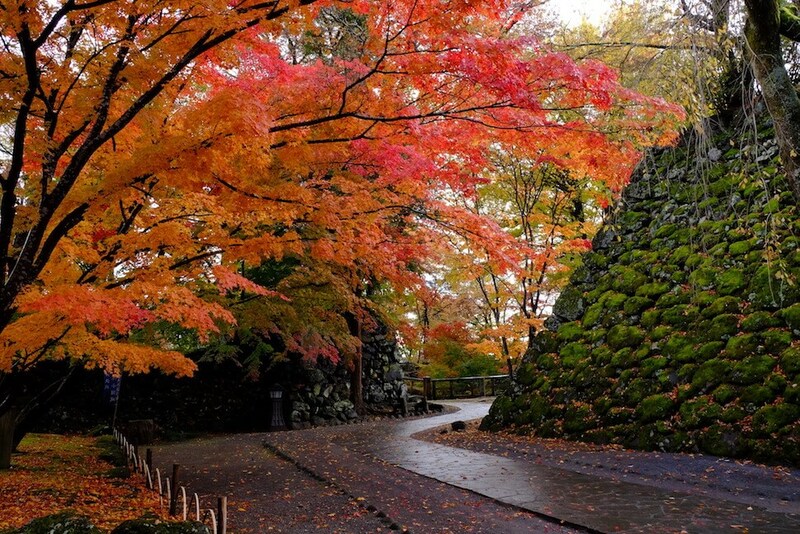 The ruins of Komoro Castle are the representative and most famous tourist hot spot of the city. 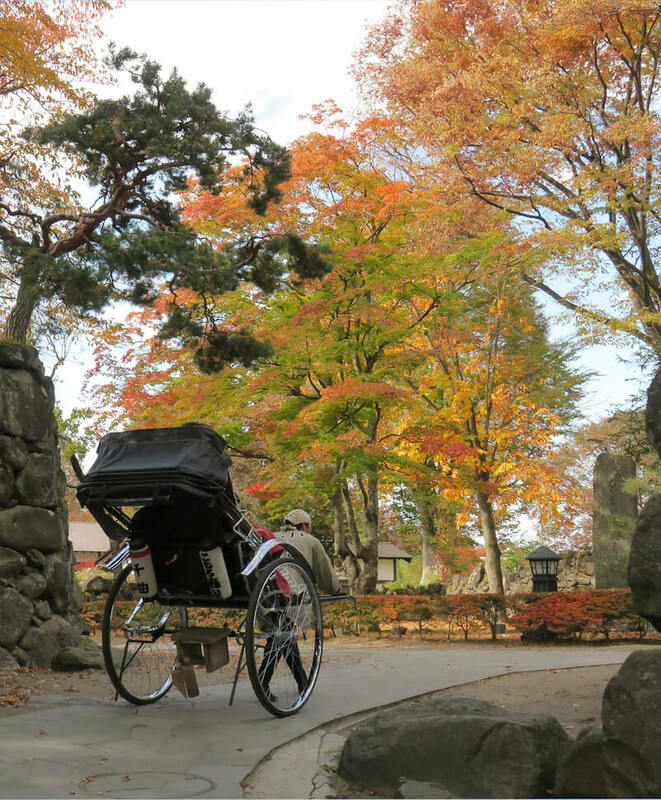 From the end of October to the end of November, the area gives rise to a whole range of colourful leaves including maple, maidenhair, Japanese zelkova and more. The castle itself was selected as one of Japan’s 100 most famous and its gardens as one of the 100 historical parks of the country. It’s also famous as Japan’s only ana-jō, a castle which is located in a place lower than the jōkamachi which is the urban area that surrounds a feudal lord’s castle. If you’re arriving by car from Tokyo it will take two-and-a-half hours and if by train one-and-a-half. It’s also a 30-minute drive from Karuizawa. During the autumn season the city of Komoro bustles with tourists from both Nagano Prefecture and other prefectures. But it’s not just at Kaikoen where autumn arrives in October and November. All places around Komoro gleam with autumnal reds and yellows. Amongst the trees are the Japanese larches is which colour the mountains golden and breathe beauty into the area. On August 30, 2018 restrictions on mountain climbing in the area were eased. 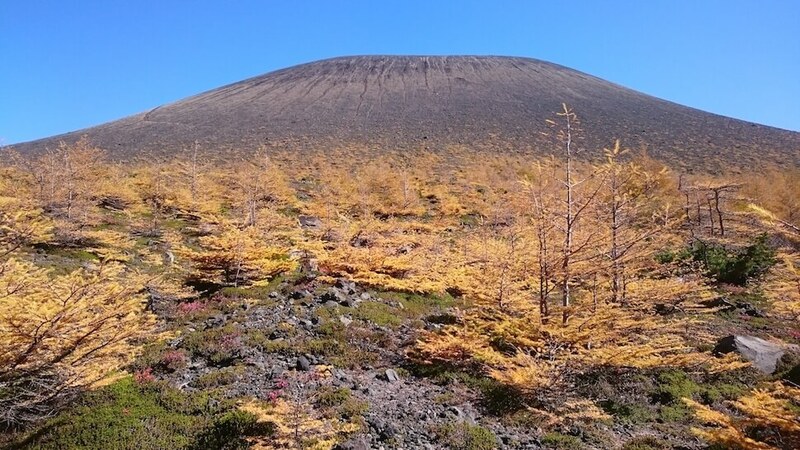 People were allowed to climb Mount Asama (Maekake-yama) which is famous for the yellow larches. You can also obtain a certificate proving you climbed the mountain at the Komoro tourist information office. 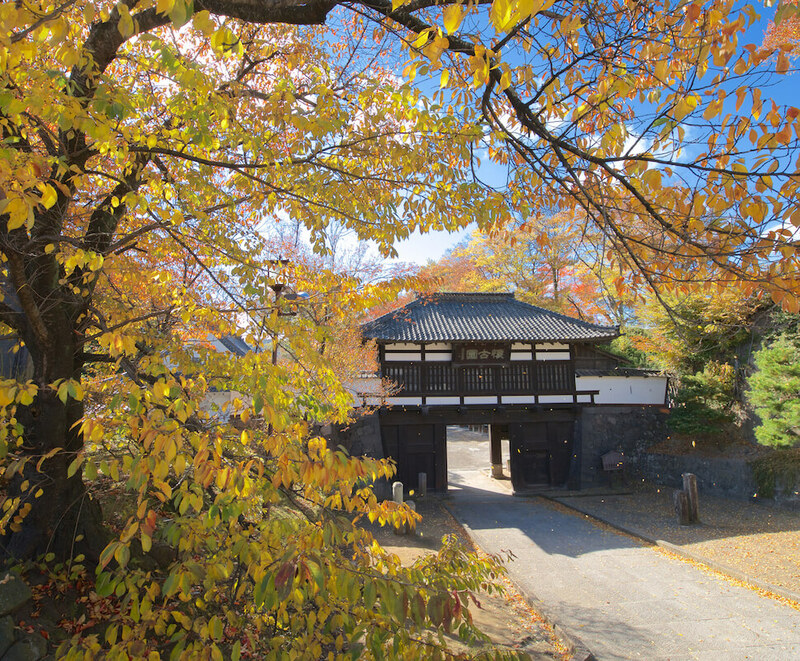 The information office can provide in-depth information into Komoro during autumn-time. They also hand out two different tourist maps for free. 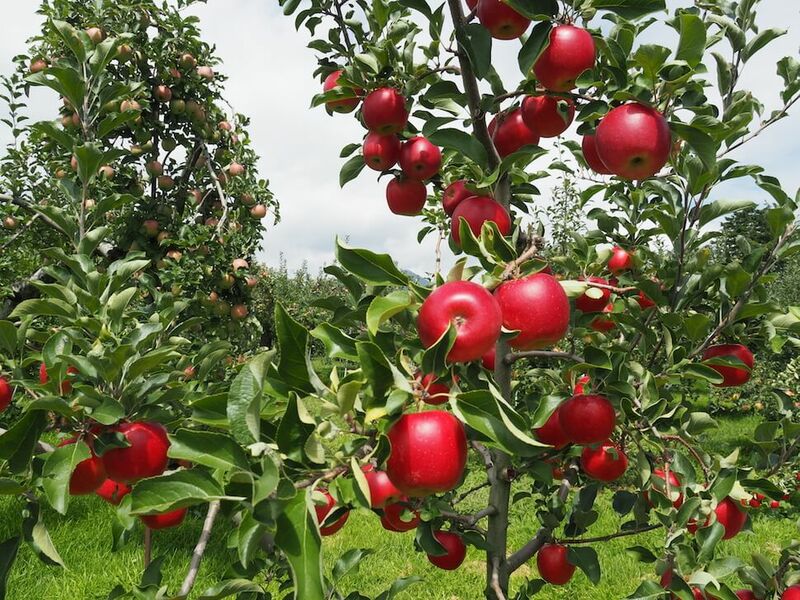 One of them showcases 10 different hot springs and 8 water sources in Komoro while the other details the plantation in the area where you can enjoy the autumn colours and much on all-you-can-eat freshly picked apples. 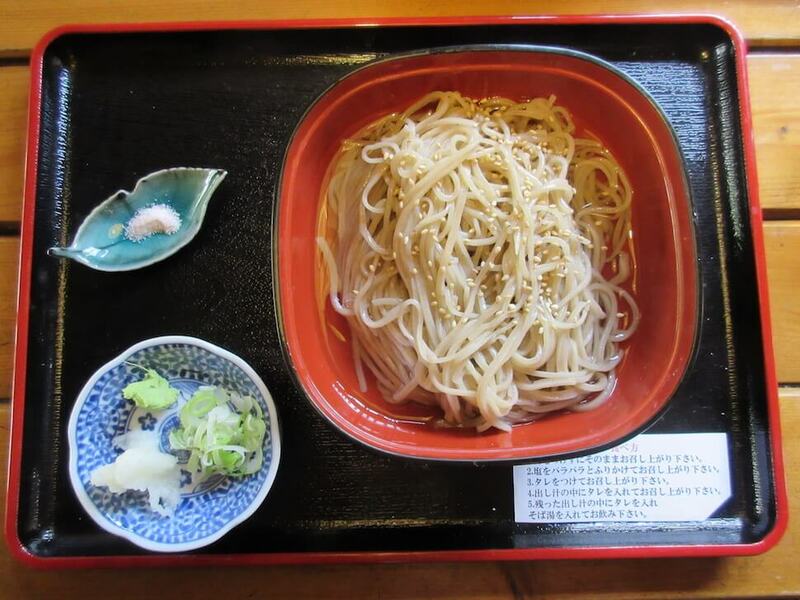 Also, as a side note, at the soba noodle restaurants in Komoro, you can enjoy “New Soba” made with buckwheat harvested in autumn which is said to be the most delicious time of all the seasons. Enjoy a wonderful time at the autumn leaves festival at Kaikoen where there will be lots of fun events happening.